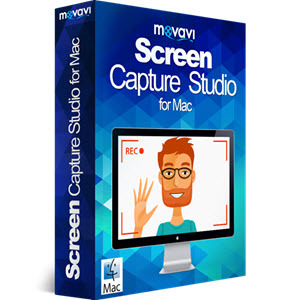 Download Movavi Screen Capture Studio for Mac and capture anything you want: video guides, Skype calls, streaming video, and much more. Categories: Mac OS, Office & Business, Multimedia & Design. Tag: Movavi. 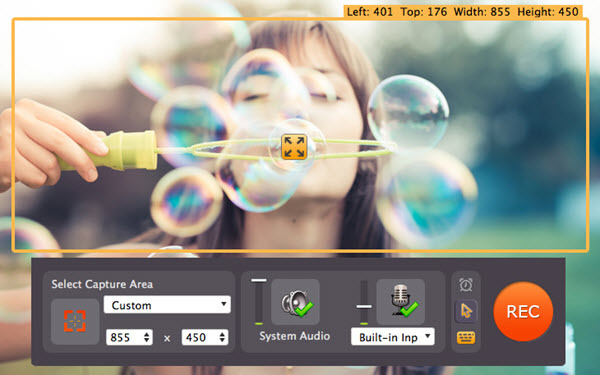 The built-in video editing tool helps you turn raw footage into stylish video clips. Cut unwanted fragments, enhance the video, add music and titles, connect clips with dynamic transitions, and more. Working with Movavi Screen Capture Studio for Mac is so easy! To create high quality screencasts, just follow these four simple steps: set the recording parameters; capture your screencast; process it with the editing app; and save it in the desired format. Capture footage from your Mac screen at up to 60 fps, or reduce the output file size by capturing at 5-10 fps. Grab HD screenshots while you’re recording – in the format you choose!